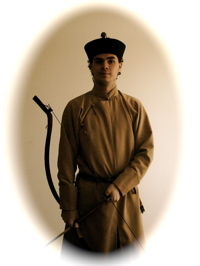 Fe Doro is a network for the promotion, research and practice of traditional Manchu archery. We are located in Amsterdam, the Netherlands. Our mission is to rediscover and spread the art of Manchu traditional archery in its most authentic form and give it a new lease on life as a traditional martial art. This means we're taking it the martial approach, not the sports approach. Fe doro is a Manchu term meaning "the old way" . It was extensively used by the Kangxi and Qianlong emperors to idealize and promote the frugal ways of their Manchu ancestors and their skills in riding, shooting and upholding the Manchu language. What better term to fuel a continuation of their efforts today? The dynasty may have fallen but its voice still sounds in vigor! In 2005 my fascination for antique Chinese arms lead me to the purchase an antique Manchu bow. I was impressed by its size and the ingenious composite construction. Looking for more information, I soon stumbled upon an at the time common conception that the bow was a rather inefficient version of the otherwise ingenious composite design. This idea didn't quite match with what I knew about the Qing dynasty: Founded by the Manchus, who took over China by conquest and made it three times as large and many times more prosperous than it had ever been through a series of expansive campaigns. I wondered why this people, with a highly effective military and well-established trade routes and access to goods from all over Asia and beyond, supposedly kept true to an "inefficient" bow design. It did not let me go so I submerged myself into collecting and reading contemporary eye witness accounts, translating primary Chinese sources, analyzing pictures and artwork, studying related archery traditions, and visiting as many museum and private collections as possible. As it turned out, I realized the bow wasn't inefficient but was rather misunderstood because it had such a different purpose from most other composite bow designs. Where most composite bows were designed for shooting relatively light projectiles at high velocities, their success in doing so was often evaluated in terms of arrow velocity per poundage pulled. The Manchu instead was built to deliver very large and heavy arrows, resulting in lower velocities per poundage pulled but with rather devastating impact within their effective range. Over the years more and more pieces came together and to my own surprise I got invited all over the world for demonstrations, seminars and lectures. Through these travels I met some wonderful people, many of whom became close friends since. They have contributed greatly to my understanding of the many facets of traditional archery. One of the highlights so far was meeting Ku Ku of the Tonggiya clan, who may well be the last Manchu archer alive. She was able to fill in some details about hand positioning and thumb ring use that one can't pick up from photographs and texts alone. It was also wonderful to see how she responded to my studies. She was amazed that the few texts and photographs I presented were all I had, and that they were enough to get my fascination going. She started the meeting with a highly sceptical approach, who is this foreigner that claims to be into our tradition? But in the end, she warmly expressed: "There is hope." Recently we tested a 82# replica of a Manchu warbow. With 190 fps it outperformed a 128# longbow that shot the same arrow at about 170 fps. More empirical testing is required for a full analysis but finally the reputation of this bow seems to be clearing up and interest in Manchu archery is picking up rapidly all over the world. It was about time this archery culture got some positive attention! 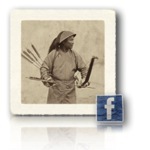 Last year we opened our Facebook group to discuss Manchu archery with likeminded souls. As Manchu archery made it to the realm of social media, we reached more people than ever before. However interesting, the many posts and discussions are scattered over various fora and social media. This makes them hard to find or access through a general web search. In that sense, I have always been much inspired by the vast amount of interesting information on Stephen Selby's www.atarn.org. This website is set up as an interactive and easy to access place to gather much of my published and yet unpublished material together with contributions from friends in the field of Manchu archery for easy access for everyone. To make full use of today's possibilities it is built with a highly social character in order to make it easy to like, share and discuss its various topics through Facebook, where much of our community resides. I hope you'll enjoy its pages, I'm always open for suggestions for improvement. Welcome to the website of Fe Doro - Manchu archery!